Botany is the branch of biology dealing with the scientific study of plant life. It is also sometimes referred to as plant science(s) or plant biology. Botany covers a wide range of scientific disciplines that study the structure, growth, reproduction, metabolism, development, diseases, ecology, and evolution of plants. Historically, botany covered all organisms not considered to be animals, including some "plant-like" organisms, such as algae and fungi, but algae and fungi generally are no longer considered part of the plant kingdom. Over 400,000 species of plants have been documented on Earth. This multitude of species plays a critical role in the food web, biogeochemical cycles, and maintaining ecological balance. Plant species are generally good examples of complex relations of interdependence—both among various plant species and between plant and animal species. As with animals, plants also rely heavily on sexual reproduction between male and female parts—often, in plants, however, the male and female parts coexist within a single flower. Dating back to the Roman Empire, botany is one of the oldest disciplines of biology. 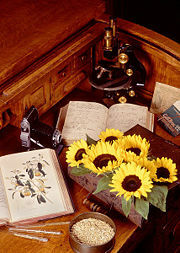 The study of botany can contribute toward the development of a more ideal human environment through such diverse aspects as helping to feed the expanding human population, discovering new medicines from plants, developing or improving various plant products, and understanding fundamental life processes, ecological relationships, and environmental changes. Among the earliest of botanical works, written around 300 B.C.E., are two large treatises by Theophrastus, a philosopher and disciple of Aristotle: On the History of Plants (Historia Plantarum) and On the Causes of Plants. Together these books constitute the most important contribution to botanical science during antiquity and on into the Middle Ages. As a result, Theophrastus is considered the founder of botany. The Roman medical writer Dioscorides in the first century C.E., provided important evidence on Greek and Roman knowledge of medicinal plants. He categorized plants based on their medicinal, culinary, or aromatic value. In 1665, using an early microscope, Robert Hooke discovered cells in cork and a short time later in living plant tissue. The German Leonhart Fuchs, the Swiss Conrad von Gesner, and the British authors Nicholas Culpeper and John Gerard published information on the medicinal uses of plants. In 1753, Carl Linnaeus published Species Plantarum, which included 6,000 plant species. He established the binomial nomenclature, which has been used in the naming of living things ever since. Botany can be considered to comprise eight key sub-disciplines each studying a different aspect of plants. These disciplines are genetics, systematics, cytology, anatomy, morphology, physiology, pathology, and ecology. Genetics is the study of heredity, genes, and gene function. Much modern botany has put to use plant DNA and genomic information to study plants more rigorously than was previously possible. Molecular biology has allowed taxonomists to categorize plant species based on DNA. Plants have been classified into different families and renamed as a result. For this reason, older botanical guides may contain outdated names and classifications. A considerable amount of new knowledge today is being generated from studying model plants like Arabidopsis thaliana (mustard weed). Mustard weed was one of the first plants to have its genome sequenced. 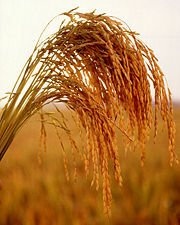 The sequencing of the rice genome and a large international research community have made rice the de facto cereal/grass/monocot model. Another grass species, Brachypodium distachyon is also emerging as an experimental model for understanding the genetic, cellular and molecular biology of temperate grasses. Other commercially important staple foods like wheat, maize, barley, rye, millet, and soybean are also having their genomes sequenced. Some of these are challenging to sequence because they have more than two haploid (n) sets of chromosomes, a condition known as polyploidy, common in the plant kingdom. The "Green Yeast" Chlamydomonas reinhardtii (a single-celled, green algae) is another plant model organism the extensive study of which has yielded important insights into cell biology. Botanical systematics is the study of plant characteristics, especially for the purpose of discerning their evolutionary relationships and establishing different plants' phylogenetic associations. The term "systematics" may or may not overlap with "taxonomy," which concerns itself with scientific classification of species and other taxa. Recent developments are cladistics and molecular systematics. Cytology is the study of cells, including their function, structure, and life history. Anatomy is the study of the interior structure of living things. Morphology is the study of the exterior form of plants, including the placement of stems and leaves on a stem (i.e. alternate or opposite), and also the study of life histories and evolutionary development. Botanical field guides often rely on plant morphology to help biologists identify plant species in the field. Plant physiology is the study of the function of plants and their cells and tissues. Examples of physiological research includes the study of photosynthetic pathways in different plants and mineral uptake by plants. Plant pathology is the study of diseases and the structural and functional changes that occur with diseases. This can be important for range of fields, including conservation biology, ecology, agriculture, and horticulture. Ecology is the study of interactions between organisms and their biotic and abiotic environment as an integrated system (Chapin et al. 2002). Other sub-disciplines of botany include ethnobotany, the study of how a particular culture, or region has made use of local and indigenous plants, including their use for food, shelter, medicine, clothing, hunting and religion. While ethnobotany has its roots in botany, ethnobotanists also receive training in anthropology, sociology, history, religion, or mythology. Paleobotany is the study of fossil plants. Palynology, the study of modern and fossil pollen, is also often grouped with paleobotany. Paleobotany and palynology are both instrumental in studying paleoclimatology. 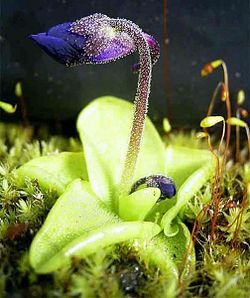 Bryology is the study of mosses, liverworts, and hornworts; phycology is the study of algae; pteridolgy is the study of ferns; and mycology is the study of fungi. As with other life forms, plant life can be studied from different perspectives, from the molecular, genetic and biochemical level through organelles, cells, tissues, organs, individuals, plant populations, communities of plants, and entire ecosystems. At each of these levels a botanist might be concerned with the classification (taxonomy), structure (anatomy), or function (physiology) of plant life. Historically, botany covered all organisms that were not considered to be animals. Some of these "plant-like" organisms include fungi (studied in mycology), bacteria and viruses (studied in microbiology), and algae (studied in phycology). Most algae, fungi, and microbes are no longer considered to be in the plant kingdom. However, attention is still given to them by botanists, and bacteria, fungi, and algae are usually covered in introductory botany courses. Virtually all of the food we eat comes from plants, either directly from staple foods and other fruit and vegetables, or indirectly through livestock, which rely on plants for fodder. In other words, plants are at the base of nearly all food chains, or what ecologists call the first trophic level. Understanding how plants produce the food we eat is therefore important to be able to feed the world and provide food security for future generations, for example through plant breeding. Not all plants are beneficial to humans, some weeds are a considerable problem in agriculture, and botany provides some of the basic science in order to understand how to minimize their impact. However, other weeds are pioneer plants, which start an abused environment back on the road to rehabilitation, underlining that the term "weed" is a very relative concept, and that broadly defined a weed is simply an undesirable plant that is too successful. Plants are convenient organisms in which fundamental life processes (like cell division and protein synthesis for example) can be studied, without the ethical dilemmas of studying animals or humans. The genetic laws of inheritance were discovered in this way by Gregor Mendel, who was studying the way pea shape is inherited. 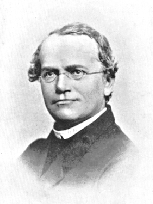 What Mendel learned from studying plants has had far reaching benefits outside of botany. Barbara McClintock discovered transposons, or "jumping genes," by studying maize (McClintock 1950). These transposons, genes that move from one location to the next on a chromosome, are responsible for the mottled look of maize grains. This sort of research has paved the way for the study of other plant genomes and genome evolution (Fedoroff 2000). Other types of physiological research, including the uptake of carbon by plants through photosynthesis and understanding the physiology behind C3 versus C4 photosynthetic plants, are important for understanding the response of plants to climate change and the feedback mechanisms that occur with increased greenhouse gases in the atmosphere. These are a few examples that demonstrate how botanical research has an ongoing relevance to the understanding of fundamental biological processes. Many of our medicine and recreational drugs, like caffeine and nicotine come directly from the plant kingdom. Aspirin, which originally came from the bark of willow trees, is just one example of a plant derivative used in modern medicine. Pharmacognosy is the study of medicinal and toxic plant derivatives. 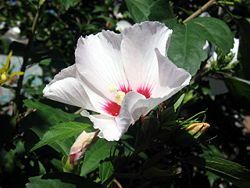 There may be many novel cures for diseases provided by plants that have not yet been discovered. Popular stimulants like coffee, chocolate, tobacco, and tea also come from plants. Most alcoholic beverages come from fermenting plants such as barley malt and grapes. Plants also provide us with many natural materials, such as cotton, wood, paper, linen, vegetable oils, some types of rope, and rubber. The production of silk would not be possible without the cultivation of the mulberry plant. Sugarcane and other plants have recently been put to use as sources of biofuels, which are important alternatives to fossil fuels. Plants are extremely valuable as recreation for millions of people who enjoy gardening, horticultural, and culinary uses of plants every day. Plant responses to ultraviolet radiation can help us monitor problems like ozone depletion (Caldwell 1981). Analyzing pollen deposited by plants thousands or millions of years ago can help scientists to reconstruct past climates and predict future ones, an essential part of climate change research (see Paleobotany, Paleoclimatology). Plants can act a bit like the 'miner's canary', an early warning system, alerting us to important changes in our environment. For example, lichen, which are sensitive to atmospheric conditions, have been extensively used as pollution indicators. Caldwell, M. M. 1981. Plant response to solar ultraviolet radiation. Physiological plant ecology I. Encyclopedia of Plant Physiology New Series. Vol. 12A. Berlin: Springer-Verlag. Fedoroff, N. 2000. Transposons and genome evolution in plants. Proceedings of the National Academy of Sciences. 97(13):7002-7007. McClintock, B. 1950. The origin and behavior of mutable loci in maize. Proceedings of the National Academy of Sciences. V. 36(6):344-355. Bellamy, D. 1972. Bellamy on Botany. British Broadcasting Corporation. ISBN 0563106662. An accessible and short introduction to various botanical subjects. Halle, Francis. 2002. In praise of plants. Timber Press. ISBN 0881925500. English translation of a poetic advocacy of plants. King, J. 1997. Reaching for the sun: How plants work. Cambridge University Press. ISBN 0521587387. A fluent introduction to how plants work. Pollan, M. 2002. The Botany of Desire: A Plant's-eye View of the World. Bloomsbury. ISBN 0747563004. Account of the co-evolution of plants and humans. Walker, D. 1992. Energy, Plants and Man. Oxygraphics Ltd. ISBN 1870232054. A presentation of the basic concepts of photosynthesis. Ennos, R., and E. Sheffield. 2000. Plant life. Blackwell Science. ISBN 0865427372. Introduction to plant biodiversity. Mauseth, J.D. Botany: An introduction to plant biology. Jones and Bartlett Publishers. ISBN 0763721344 - A first year undergraduate level textbook. Botany texts online Project Gutenberg. This page was last modified on 28 July 2017, at 21:49.